COMMENTARY – It’s easy to forget, given BYU’s recent success and its stellar 17-4 record, that the Cougars are young and relatively inexperienced. In today’s college basketball atmosphere, where great players regularly spend only a year or two in college before jumping to the NBA, being young is not unusual. But at BYU, having a team chock full of underclassmen is rare. But that’s the truth – BYU has no seniors on its basketball roster. With that knowledge comes the convenient excuse “Wait ’til next year.” With no seniors, the Cougars have a built-in reason for not winning the West Coast Conference, for maybe missing the NCAA Tournament and for losing games like tonight’s contest at Saint Mary’s. But, as the old saying goes, excuses are like armpits. We all have a couple and they all stink. 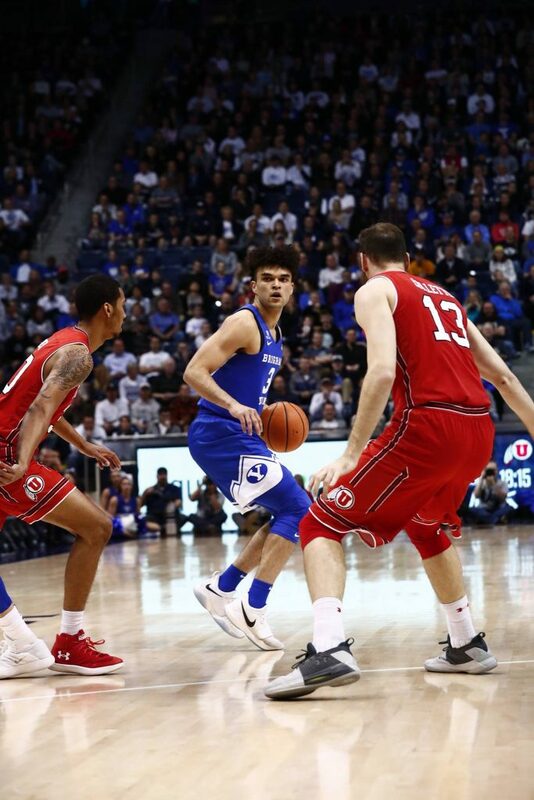 While it’s true that BYU starts four sophomores and one junior (Elijah Bryant), there’s no reason to believe that this team can’t take it to the next level. Bryant provides the star guard potential that every big-time team needs. This year, Bryant is putting up some impressive numbers. He is averaging 18 points, six rebounds and two assists a game while shooting the ball extremely well. He’s made a 3-pointer in every game in 2017-18 and is hitting 43.9 of his shots from deep, putting him among the leaders in the nation. But he’s not just good from deep. Bryant is currently hitting 90.2 percent of his free throws (19th in the nation) and he’s made exactly half of the 232 field goals he’s attempted this season. Great-shooting guards are hard to find. There’s only one other player that ranks among the nation’s leaders in those three categories and that’s Fletcher McGee of Wofford, who is doing it against much easier competition. Along with Bryant, BYU also has a go-to big man in sophomore Yoeli Childs. The 6-foot-8 post from Bingham High in South Jordan is averaging 17.6 points, 9.0 rebounds and 2.0 blocked shots per game. Childs has 10 double-doubles this year and has scored in double figures in 19-straight games. Add to that mix a warming up TJ Haws, a swingman in Zac Seljaas that can be very dangerous and the quickness and savvy of sophomore point guard Jahshire Hardnett and it’s easy to see that this BYU team could be something special in a year or two. But what about now? Here’s the thing about the future: You just never know what will happen. Any one of those guys could get injured, or transfer, or quit. Plus, regular WCC bully Gonzaga is a little down this year. That leaves the door open for Saint Mary’s and BYU to finally knock the Bulldogs off their perch. But does anyone believe the Zags will be down for long? I have a feeling there is some 7-foot-2 Australian or some 30-points a game Lithuanian in the wings, ready to help Gonzaga reach the pinnacle next year. But playing that game is risky, at best. BYU needs to win right now. This year. And it begins tonight with a chance for revenge in Moraga, California, against the Gaels (9:10 p.m. MST on ESPN2). It’s worth noting that BYU released its football schedule for next fall. Most of us BYU fans are hopeful that this past season’s 4-9 debacle was just part of “growing pains” process of building a new and improved program under coach Kalani Sitake. But BYU better get better, and fast, because it won’t be an easy year for the Cougs. BYU opens Sept.1 at Arizona, then returns home for a date with another Pac-12 school, California. Week 3 sees a monumental challenge as the Cougars go to Wisconsin. Week 4 has McNeese State visit LaVell Edwards Stadium, a brief respite before hitting the road against the Washington Huskies in Seattle. Back-to-back winnable games mark the first two games in October with home dates vs. Utah State and Hawaii, followed by a bye week. 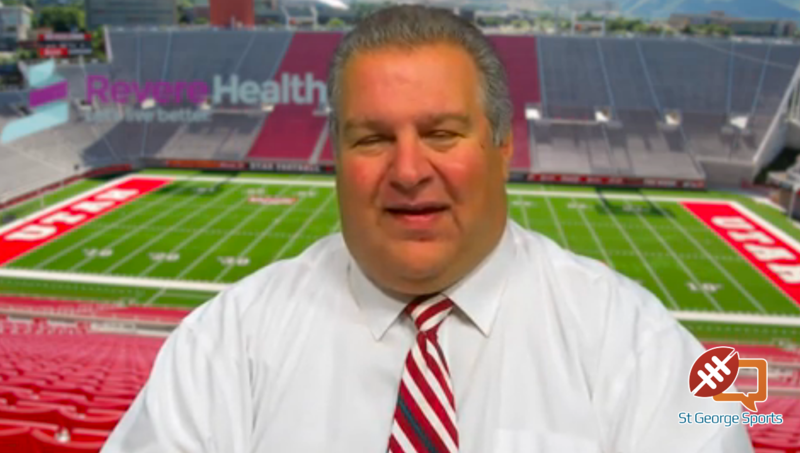 The Cougars then hit the stretch run with a home game vs. Northern Illinois, at Boise State (on the Smurf Turf), at UMass and home for fellow independent New Mexico State. The 2018 finale is that glorious Holy War game against Utah – this time in Salt Lake City. That’s an aggressive schedule. In past years, six of those games could be considered probable wins (McNeese, USU, NIU, Hawaii, NMSU and UMass), with four more in the 50/50 category (Utah, Arizona, Cal and Boise). The two “doubtful” games are at Wisconsin and at Washington. Hopefully Sitake and his staff have things headed in the right direction so that doesn’t happen. What would BYU fans be happy with? Certainly a 10-2 or 9-3 season would hit the right spot. An 8-4 would probably be acceptable, and maybe even a 7-5. But what if the Cougars go 6-6, or even have a losing record once again, leaving them out of a bowl? Would the administration start tightening the noose on the BYU coaching staff? Would ESPN start shying away from broadcasting BYU games?